QUESTION: Where can I find free diaper and cover patterns? ANSWER: In my opinion, it's easiest to trace a diaper or cover you like, or a diaper you like and make it from that. I've done a couple of diapers and covers that way, and it may take some fiddling to get it just the way you like it. But I think it's the most reliable way of getting what fits *your* baby the way *you* want. 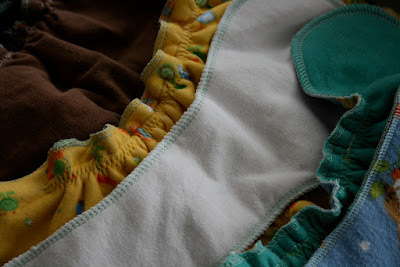 Of course, you can always use most diaper patterns to make diaper cover as well. 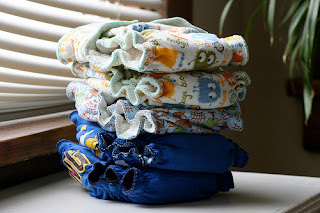 • Simple Diaper-Sewing Tutorials - Free templates, patterns, and tutorials to help you learn to sew your own cloth diapers, covers, and accessories. Thanks to Sophie for this Frugal Baby Tip!